Love or hate them, Southwest is making big waves with their Hawaii announcement. As expected, there are plenty of online comments from the typical “air greyhound” folks reiterating how they will never fly Southwest for 6 hours straight. I am fine with that, the rest of us will enjoy the free checked bags and better yet, the increased competition heading to the 50th state. Here is the most important take-away, when Southwest enters a new market fares drop by 24% on average. (PDF). I am not sure we will see a 24% drop in fares from the West Coast to Hawaii, but I will take anything at this point. The anti-Southwest crowd should be thanking WN for entering the Hawaii market because history points to the fares decreasing on the legacy carriers in the coming years. Who knows, maybe it will free up award space on the big three? It is likely Southwest will fly to Honolulu, Maui and Kauai are other obvious options. United will be increasing their Hawaii capacity in 2018 up to 40 daily flights. This should make for some friendly competition for us the flying public. Southwest plans to operate their new 737-MAX for their first route. 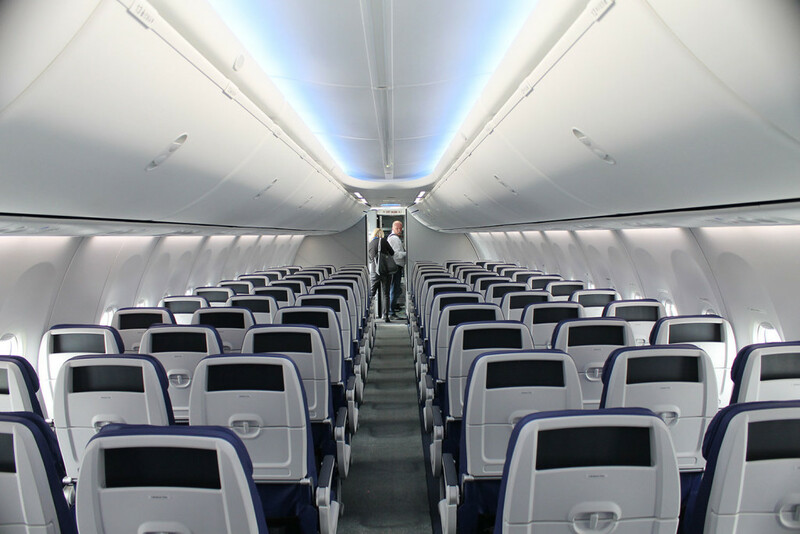 This new Boeing beauty is technically capable of going from Honolulu to Denver, but that likely won’t happen. Southwest is hinting at the first routes originating in California, I am leaning towards Oakland and San Diego as viable first routes. Not just any aircraft will do when flying hours over the ocean. The FAA mandates that Hawaii bound aircraft must be ETOPS certified. This means the aircraft must be equipped with additional fire suppression and on-board oxygen, among many other items. The LEAP engines of the 737-MAX are rated for 180 minutes of ETOPS, or “Extended Operations”. Southwest has also been updating their online ticketing engine, bringing them into the 21st century. Just a few months ago Southwest would allow you to have two tickets booked putting you in the air at the same time. They’ve since plugged this hole and will auto-cancel your last booked reservation if you overlap flights. I’ve heard rumors that Southwest may operate inter-island hopper flights. It seems odd that Southwest would use their expensive aircraft to jump between islands. You see, an aircraft must be thoroughly inspected after a set number of cycles, let’s say 3,000 for a round figure. Each take-off and landing would be a cycle. The cabin is pressurized then depressurized, which can cause wear over time. Southwest planes already cycle at a high rate due to their many short ‘point to point’ flights. Southwest operates over 3,400 flights a day, I don’t think they are going to be running their 737’s on 25 minute flights. Maybe I am wrong. This is one of the many unknowns at the moment though Southwest has promised Q3/Q4 2018 Hawaii flights. We don’t know when we can book or to which islands they will fly to. This is not unusual for Southwest as they only open their booking windows roughly 9 months out, most other airlines open reservations 11-12 months out. One thing we do know is the Companion Pass WILL work for Hawaiian flights on Southwest Airlines. Flights from the US to Hawaii have an extremely high percentage of award redemptions as it is a popular leisure destination. With Southwest offering ‘BOGO’ for Companion Pass holders to Hawaii, we could see a very high rate of award tickets versus revenue tickets. I am trying to understand Southwest’s true logic for entering the Hawaii game. They are only going to run a few flights a day since they don’t have many ETOPS certified aircraft/crew. I don’t think they are chasing profit since they likely won’t be operating more than 5-6 Hawaiian flights per day. If Southwest can offer a more enticing route option to redeem Rapid Rewards, they are hoping they can gain more loyalty for their bread and butter flights in the lower 48. That has always been the major grievance for Southwest business travelers, “I can’t use my award miles to go to Europe, Hawaii, or Asia.” Introducing Hawaii as an option to burn your miles just might grab the attention and loyalty of mainland US business travelers, especially those with Companion Pass.